The vacation Bench of the Supreme Court of India on Wednesday, agreed to examine the constitutional Validity of S.62 of Wild Life Protection Act 1972 which empowers the Central Government to declare any wild animal to be a vermin and empowers the Central Government to remove any wild animal from the protection of the Act. Attempts to block release of “Udta Punjab” again failed as the Supreme Court of India on Thursday declined to hear a plea by an NGO to halt the release of the film. 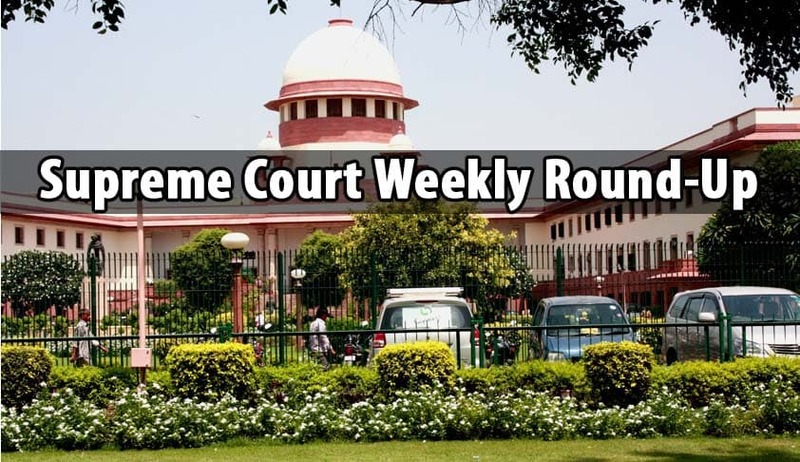 The Supreme Court bench comprising of Justices Adarsh Kumar Goel and L. Nageswara Rao asked the NGO to approach Punjab and Haryana High Court.